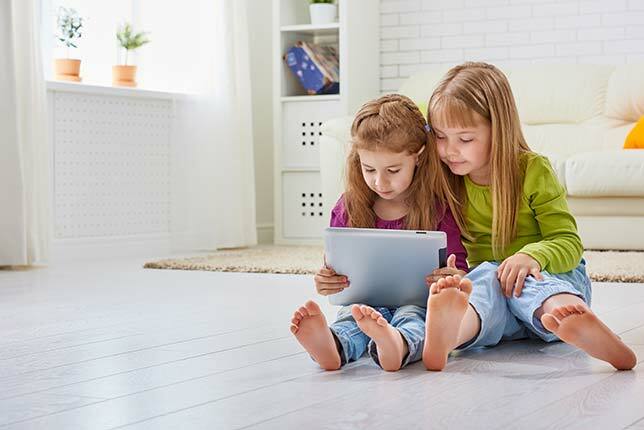 Nearly half — 42 percent — of children eight years old or younger have their own tablet, according to a new report from Common Sense. That number is up from just 1 percent in 2011. Dubbed the Common Sense Census: Media Use by Kids Age Zero to Eight, the report is based on a survey of 1,454 parents and is the third in a series, the first two installments of which were published in 2011 and 2013. 40 percent of children in both lower-income and higher-income homes had their own tablet, compared to 45 percent of middle income homes. "In today's tech-driven world, where things are moving so quickly, it is really important to step back and take a hard look at what technology kids are using and how they are using it," said James P. Steyer, founder and CEO of Common Sense, in a prepared statement. "Over the last six years, we have seen massive growth in media use and tablet ownership, and we haven't even begun to experience the explosion of new technologies like virtual reality and voice-activated assistants in our homes. If we want to ensure our kids develop well and are successful in life, we have to make sure they get the most out of tech while protecting them from potential risks — and that means paying close attention to the role media is playing in their lives." The full report is available at commonsensemedia.org.